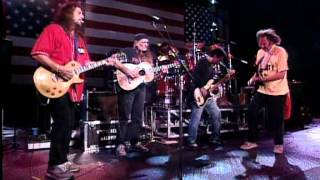 Neil Young, Willie Nelson and Crazy Horse perform "All Along the Watchtower" live at the Farm Aid concert in New Orleans, Louisiana on September 18, 1994. Farm Aid was started by Willie Nelson, Neil Young and John Mellencamp in 1985 to keep family farmers on the land and has worked since then to make sure everyone has access to good food from family farmers. Dave Matthews joined Farm Aid's board of directors in 2001. Oct 15, 2012 · another great rock ep ... live at Farm Aid 1994 with WIllie Nelson. Neil Young kept a pretty low profile in 1994. ... Neil Young and Crazy Horse Jam With Willie Nelson Watch them play 'All Along the Watchtower' at Farm Aid. Neil Young, Willie Nelson and Crazy Horse perform "All Along the Watchtower" live at the Farm Aid concert in New ... Neil Young kept a pretty low profile in 1994.